We offer top quality chiropractic treatments and services for long-term pain relief without the use of drugs or surgery. Chiropractic is an integral part of staying healthy through a well functioning spine & nervous system. Many families choose us as a conservative and safe approach to growing healthy kids. From team sports to working out, chiropractic care keeps you moving your best. Decompressing your discs can provide tremendous relief and truly help for a full recovery. 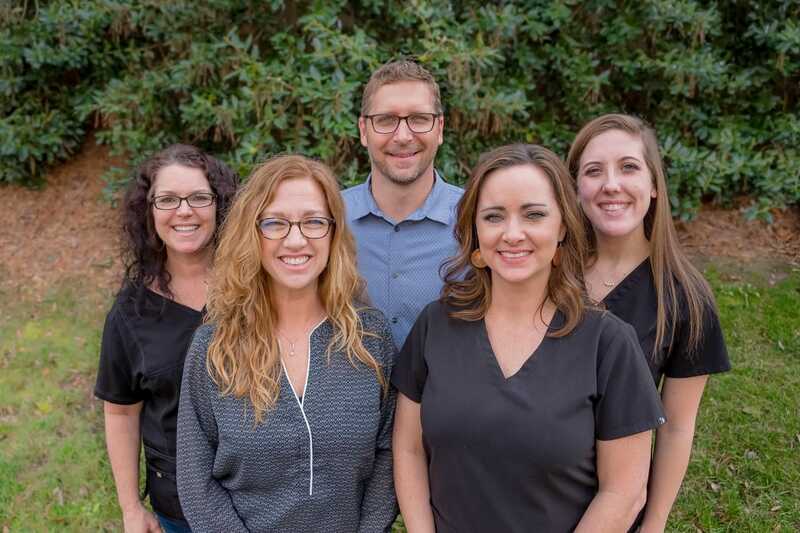 From families and pediatric care to athletes, auto-injuries, work-related injuries, and more … We aim to educate our patients about Chiropractic and other natural solutions to common health problems in order to motivate you to take a more active and responsible role in restoring and maintaining your own health as well as the people around you. All of our treatments and services are specifically designed to provide you with the best technology available for chiropractic care. Our facility in Knightdale is equipped to give you a complete solution to all of your chiropractic needs. Specific chiropractic adjustments are what differentiates chiropractors from all other specialties in health care. Designed to relieve pressure from the discs in your spine while providing support to re-establish better posture and reduce muscle tension. Used to determine the cause of you problem(s) and rule out pathology to allow our chiropractors to appropriately treat your symptoms. These are designed to specifically stretch, strengthen, and re-coordinate areas of the body that have been effected. This treatment is designed to stop the pain cycle in your muscles to provide relief while acting as a non-drug pain reliever. We have in-house massage therapists that provide relief to all areas of the body during your healing process. Back pain can ruin your day but it doesn’t have to slow you down. Let our chiropractors provide relief for your back pain without using surgery or medications. Neck pain can really throw a wrench in your day; but it doesn’t have to. Our chiropractors will find what is causing your neck pain and treat it. Headaches can be caused by various problems. But don’t worry, we have all the tools needed to treat headaches and resolve your pain for good. Joint pain is bound to come sooner or later in life. Let our chiropractors resolve your joint paint so you can get back to doing the things you love. Don’t let back pain slow you down. Our chiropractors provide relief for back pain without surgery or medications. She worked some magic on me! I am so incredibly glad I decided to give chiropractic care a try! Dr. Lisa is specially trained in adjusting pregnant women and she seriously worked some magic on me! We’ve all been going to Camelot chiropractic for years...Dr. Lisa and Dr. Jason are amazing! They are not only great listeners, but they know their stuff! We trust them with our health 100%. We would recommend them to anyone! Great friendly service and they're always willing to change appointments when needed. I'm always greeted with a smile. I use Camelot and so do my grandkids. Typically, patients can receive their first appointment within 24 to 48 hours of calling our office, and sometimes can even be seen on the same day. We strive to get each patient into the clinic as quickly as possible and at the most convenient time possible.